​Debbie is a Licensed Clinical Social Worker. 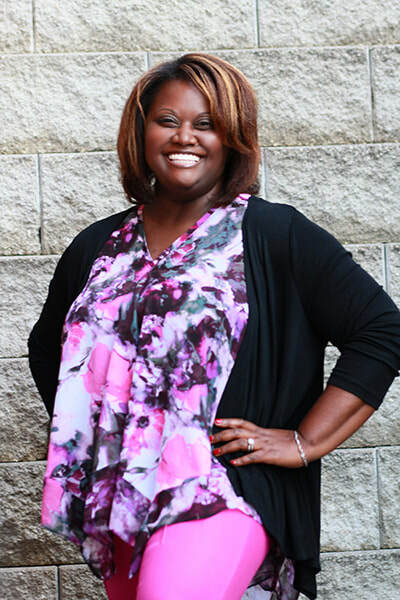 She received a Bachelors and Master’s Degree in Social Work from Indiana University, and subsequently, received a Bachelor of Arts Degree in Christian Ministry from Missouri Baptist University. Debbie's practice includes individual, family and group therapy. She works primarily within a faith-based approach (because everyone believes in something) that incorporates cognitive behavioral therapy, cognitive processing, solution- focused and strength- based techniques, to improve day-to-day functioning, overall health and wellness. She understands that goal setting (despite what it is) and obtaining a sense of peace may take time; therefore, she seeks to create a welcoming environment to achieve it. Debbie’s experience is vast, having worked in the private, public and governmental sectors, while serving diverse populations. She is skilled in working with children and does not shy away from getting dirty from a sandbox activity or working with teens and being the recipient of their sometimes brutal honesty. She also has extensive work with seniors, using adult-focused care and compassion while connecting them and/or their families to much needed resources. Having served as a combat Army Veteran (Enlisted & Officer) allows Debbie to bring a specialization in combat, trauma, Post Traumatic Stress Disorder (PTSD) and other military and Veteran issues. Debbie is a skilled speaker who has presented at various Veteran organizations, churches, schools and other functions. She is also trained with FEMA- Incident Command Systems- to respond to emergencies and incidents, both natural disasters and manmade events. These experiences continuously strengthen Debbie’s resolve to work patiently through a challenging situation and allow clients to walk (or sometimes crawl, if need be) with her throughout their journey. Simply put, she finds it an honor to humbly serve others, as she has done in the past.